Please note that matching Official World Chess Board is available and can be purchased separately. 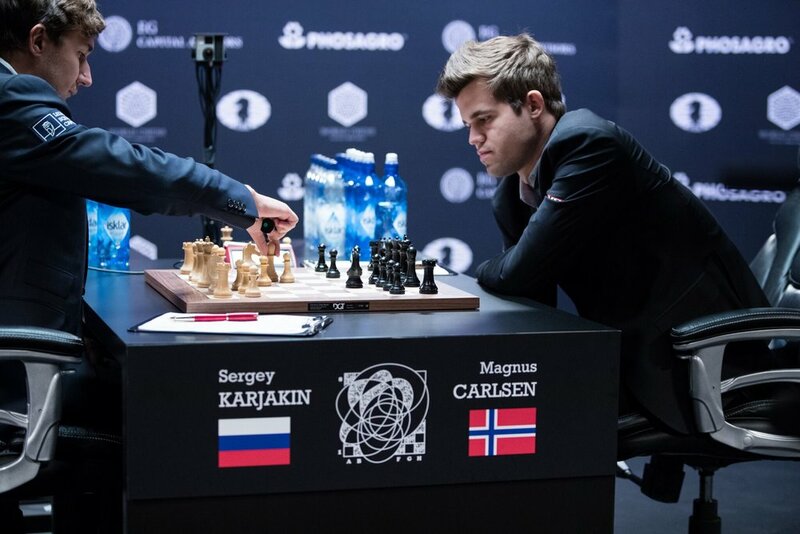 Own a piece of history with the Official World Chess Championship Chess Set — the only chess set approved by FIDE for the World Chess Championship cycle events. 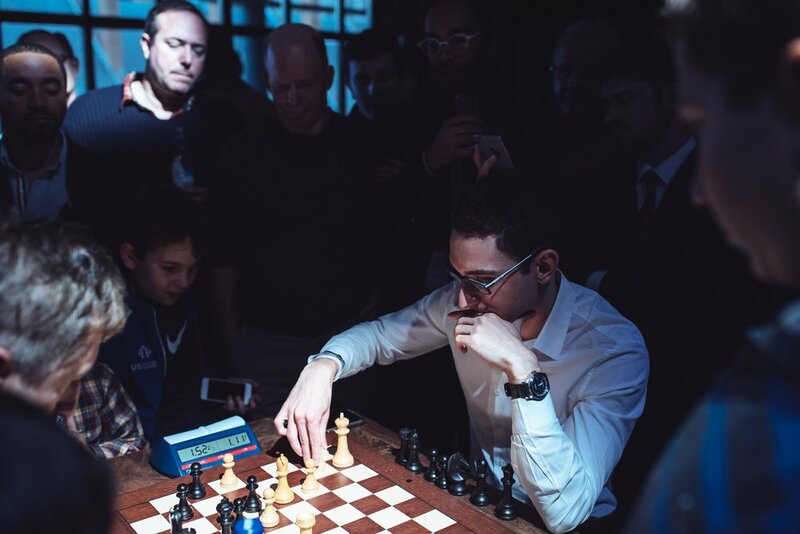 This is exactly the same set as the one used in the 2018 Carlsen — Caruana Match and three previous World Chess Championship Matches. Debuting at the World Championship Candidates Tournament held in London in 2013, these chessmen have become the standard for tournament pieces. Designed by the internationally renowned Pentagram architect Daniel Weil, these pieces are based on the proportions of classical Greek architecture and the classic Staunton design to make a set that is both distinctive and traditional. Each set is hand-carved and hand-polished from the finest rosewood and boxwood; only 500 sets are produced for each cycle. Each set is shipped in a special storage box with with pieces secured. This set does not include the board (it can be purchased separately); the pieces are best suited for a Rosewood and maple chess board (square size 50cm).